Looking for used cars in Los Angeles? 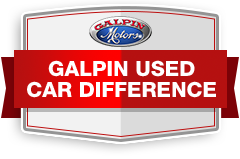 Galpin Lincoln offers a large selection of used cars for sale in the Los Angeles, San Fernando Valley, Santa Monica and Van Nuys available. Browse our used selection in order to find the right vehicle for your needs and lifestyle. Our pre-owned selection can be refined by model, make, price, body style and mileage making it easy to compare prices and research vehicles. Our showroom is located in Van Nuys. We invite all residents to stop by our showroom and take one of our used cars out for a test drive. Give us a call if you have questions about our available inventory.